Home Blog Day 548: Pass the Eggnog and Where Are We on Brexit? 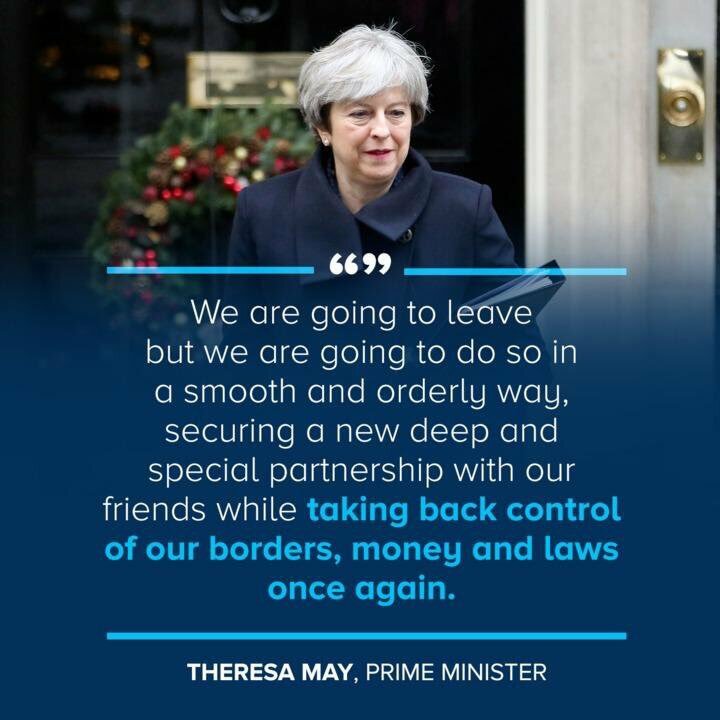 We are going to Leave but we are going to do so in a smooth and orderly way, says PM Theresa May. For all the talk by Leavers and their loud promises to save £350 million per week (and redirect the money to the NHS) and to save UK taxpayers £8.6 billion per year (their annual net contribution to the EU) and the promised increase in British exports due to renewed interest in UK goods, not much has happened there either. In fairness to the Leave campaign, as Brexit hasn’t yet occurred, they can’t be faulted on promises which can’t be kept until Brexit completes. Nobody wants to fail at getting a trade agreement — UK and the EU industry would crucify the politicians that didn’t sign a viable and timely trade agreement — and voters would likely punish their respective politicians at the following election. Yet, if some horsepower isn’t soon applied to the slow-motion Brexit discussions, policymakers on both sides are likely to find themselves serving on the opposition benches after the next election. Whether a trade deal is signed in time, or not, in typical European fashion a cordial parting looks set to occur. With Theresa May at the helm for the foreseeable future it will take plenty of time to arrive at certain Brexit waypoints. Yet irrespective of ongoing Brexit frictions — UK relations with the European Union are likely to improve even from their present (high) level. Which in the final analysis means that diplomacy may be the most profound of Theresa May’s qualities.